My friend “T” wanted to do a slipcover. I showed you last week how we worked so diligently on it. All I did was some pinning and cutting the fabric. Why is everyone afraid to cut fabric? Don’t be afraid…Just cut! She did ALL the sewing. Anyway here is the before and after! It’s magnificent! She did a fantabulous job! And I stinkin’ love that ruffle skirt! You see that coffee table? It used to be mine. That’s one of the pieces I feel remorseful about getting rid of. I told her that she can NEVER sell it…UNLESS she sells it to me! We trade stuff all the time. 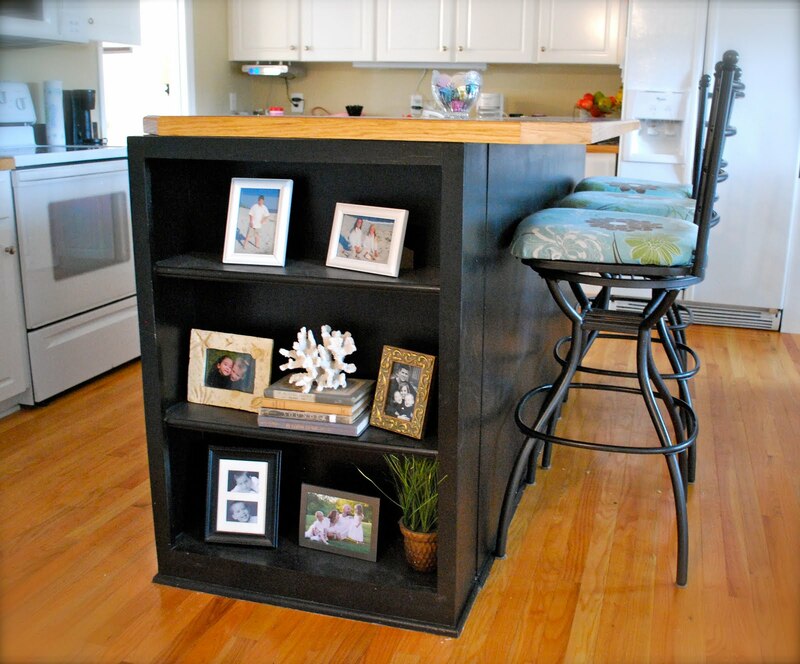 Her kitchen cabinets are white and so was her island, but she painted it black…it’s absolutely sumptuos! She covered her stools in outdoor fabric to prevent stains. This is above her desk. 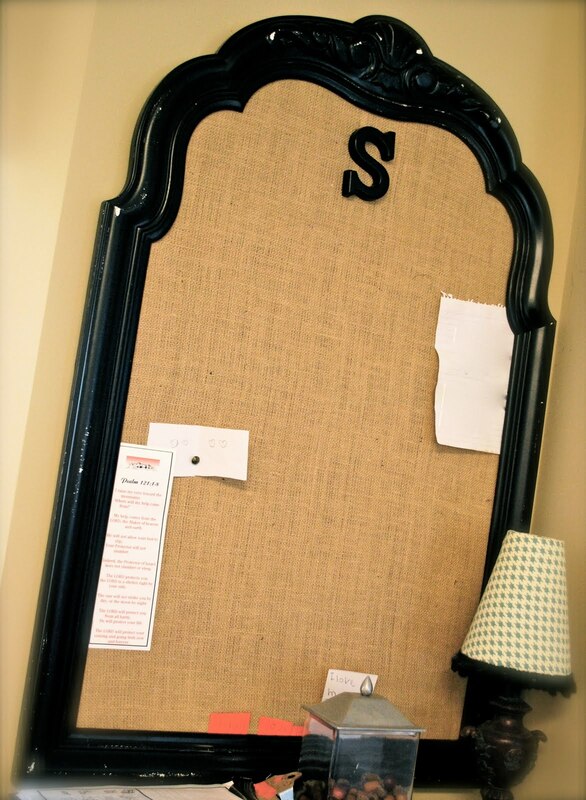 She made a bulletin board out of a thrift store frame that she spray painted black and added burlap backing. This is her dining room. 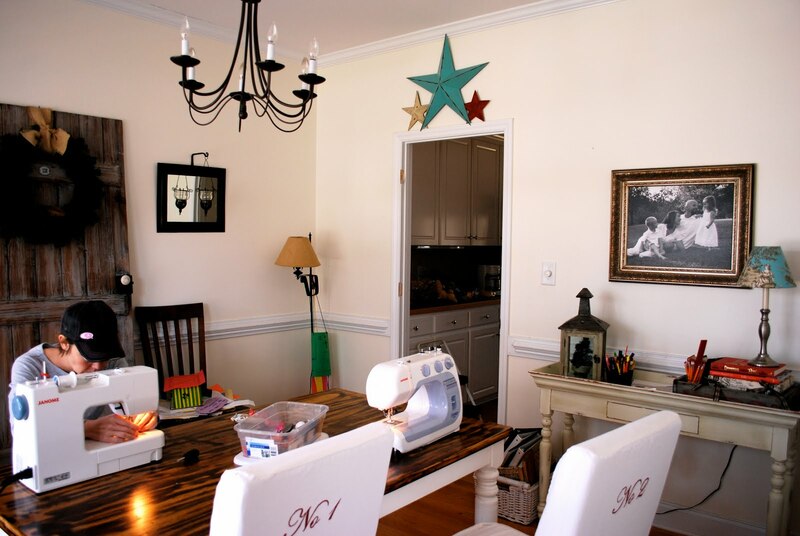 She made the slipcovers for those 2 parson’s chairs and freezer art stenciled the numbers on the back…and refinished that farm table. She’s crafty…as the beastie boys would say! 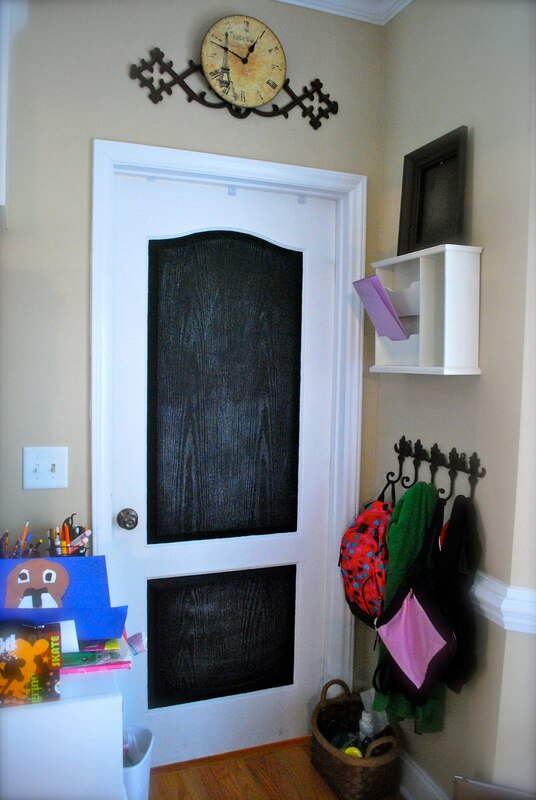 She painted her door with chalkboard paint. I love how she hung the coat hooks low enough for her kids to reach! 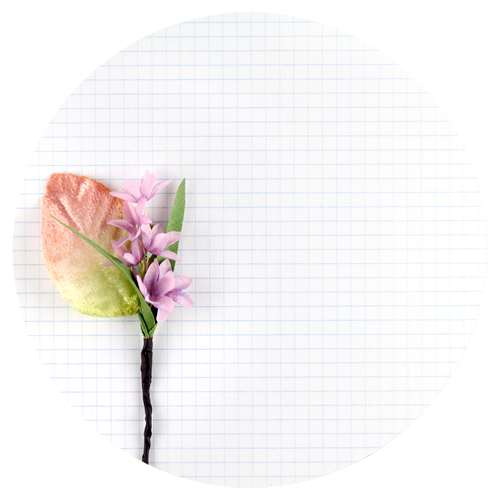 Do you have a creative friend who doesn’t blog? Pimp them out! I mean promote them! I love “T”…she’s a great inspirational…creative friend! Love it all! I wish I could convince my husband the slipcovers would look great. I adore them. I wish you lived by me! love how it turned out..
this is great! i am loving your web-sight…. can't wait to have some good slipcovers myself! Love it! Hope to see you in May! 🙂 Yay! 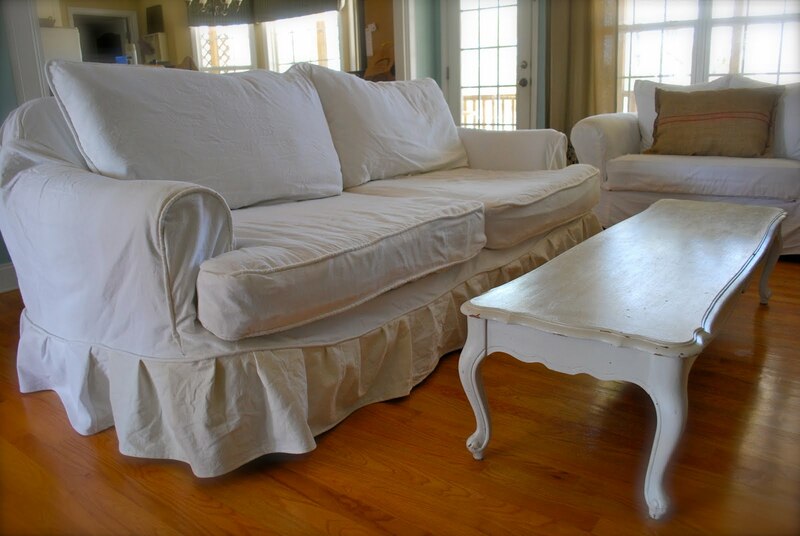 What a beautiful slipcover and such a lovely home your friend has! I am completely going to copy that chalkboard door!! 🙂 Thanks for sharing this! 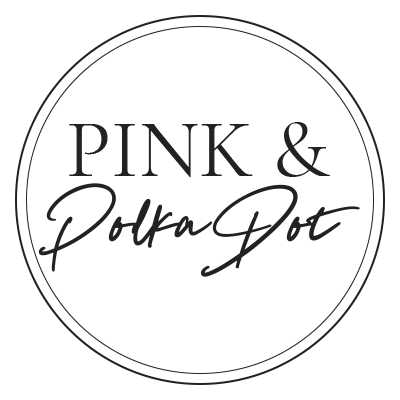 Wow, gorgeous, great “pimping” pink! The couch looks amazing and so does the rest of the house, love the paint colors too! Wow~looks like a great place! Love that slipcovered sofa! SO CUTE! 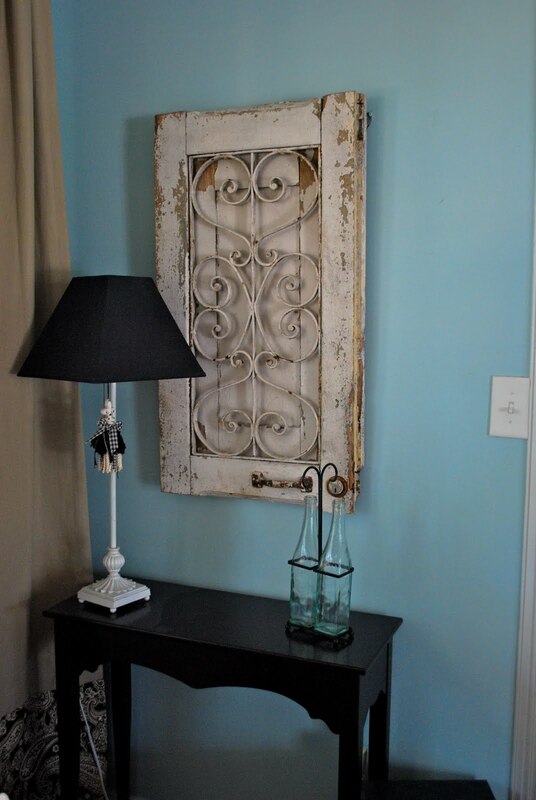 And I'm majorly inspired now…I HAVE the farm table that she has and I've been wanting to do the two tone look for a while now on it (its painted all white now). Now that I know how great it looks I'm going for it!!! thanks!! Love the ideas. 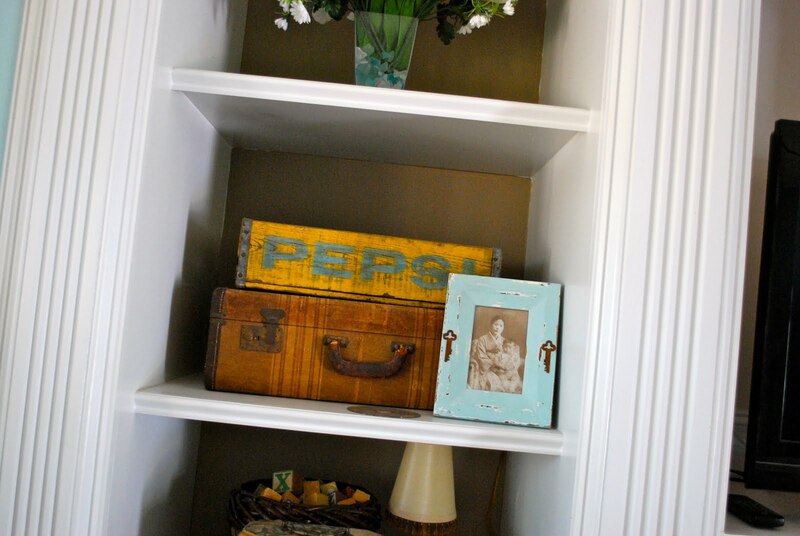 I'm stealing – – uhm, borrowing, your friends low-hook in the mudroom idea. Love it! Can I ask you, or “t” about the table that used to be yours? I have a table similar to it in size and shape, and the finish is worn off of the top and is very unappealing to look at. I'm not sure who painted it, but can you tell me what type of prep and paint was used? I really like the style and would love to duplicate it! Thanks! wow. i feel so….exposed. but in a good way. love you girl!! 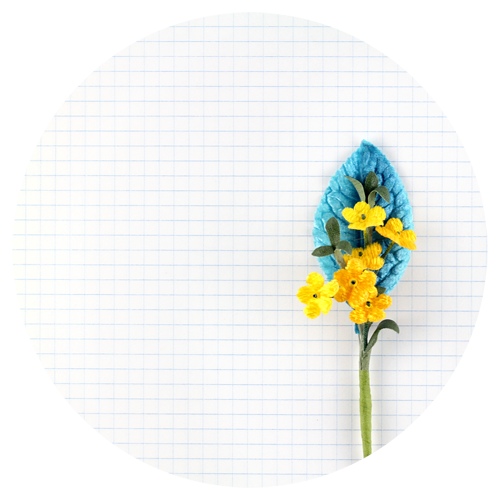 Just wanted to say thanks for stopping by my blog & leaving a comment! Your blog is one of my favs & was introduced to me by my BFF, who, incidentally is not a blogger. She, too, has great ideas in her house. This post gives me the idea to talk her into letting me “promote” her as well! i actually found it exactly as it was. something i didn't need to paint! it looks like it has a gloss finish. but for a tabletop, i would sand, prime and then paint…just to make sure it stays. It looks so much better with the slip cover! I love the decor in this house, the coloring is so good! Wow!! The couch looks great! Tina, your home is beautiful!! Love Love Love the Slipcovered couch!! thank you for all this insperational Post!! I love your blog. I'm going to try a slipcover and I have down loaded your e book. I don't have a computer at home. Are you going to give me your phone no in case of emergencies?? ?